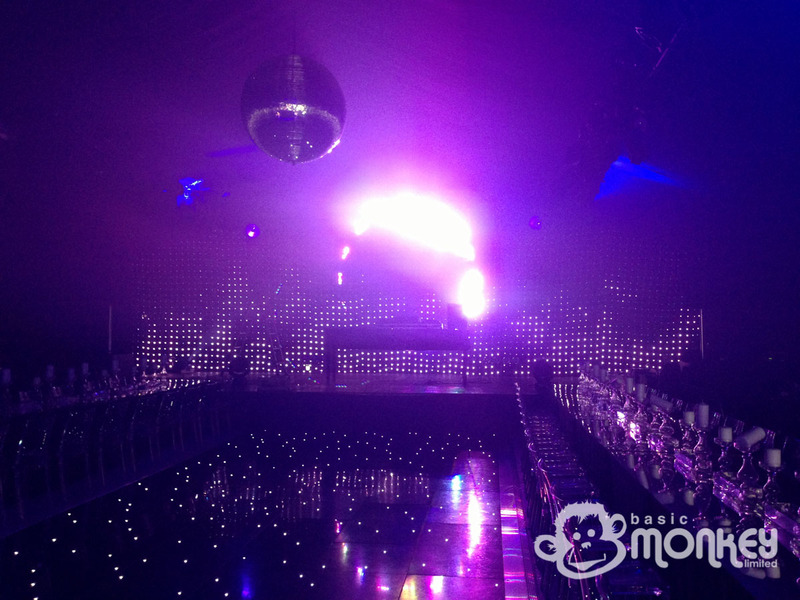 Basic Monkey have supplied our laptop based Catalyst media server and Jands Vista lighting console to Lightech for a rather special private party in West Cheshire. 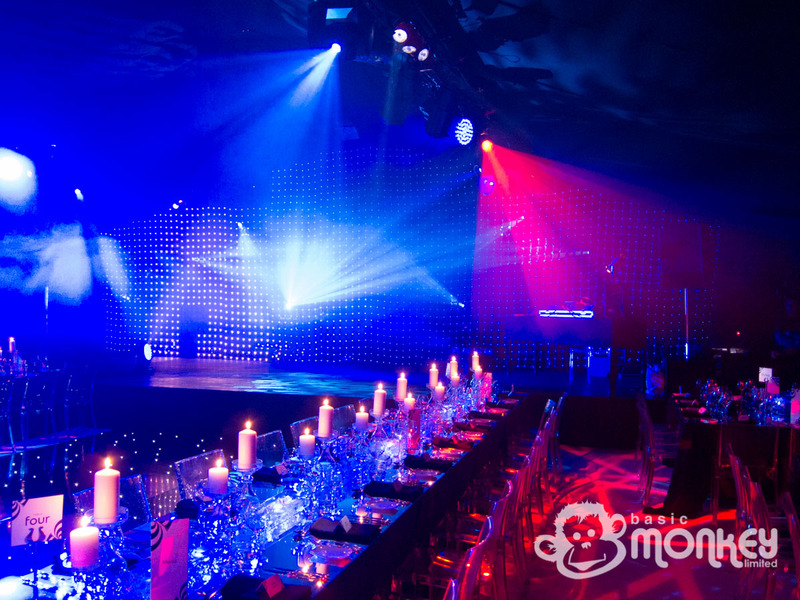 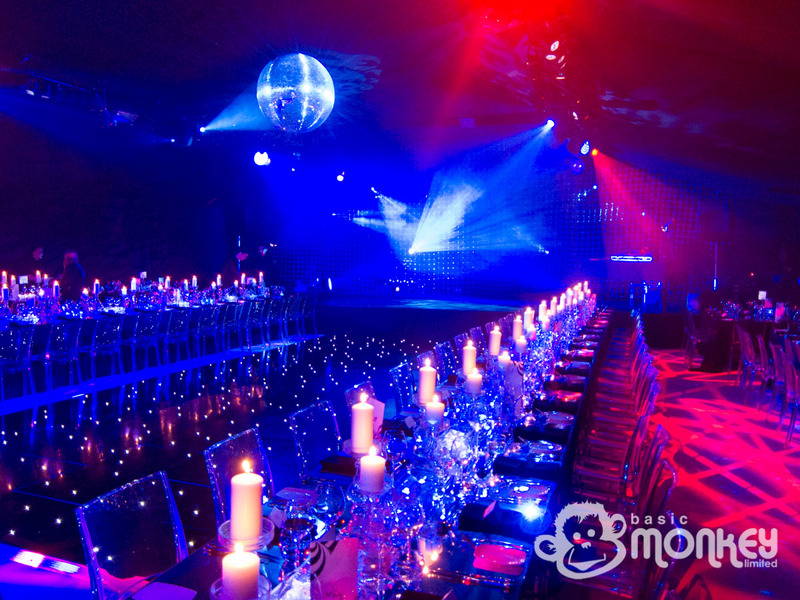 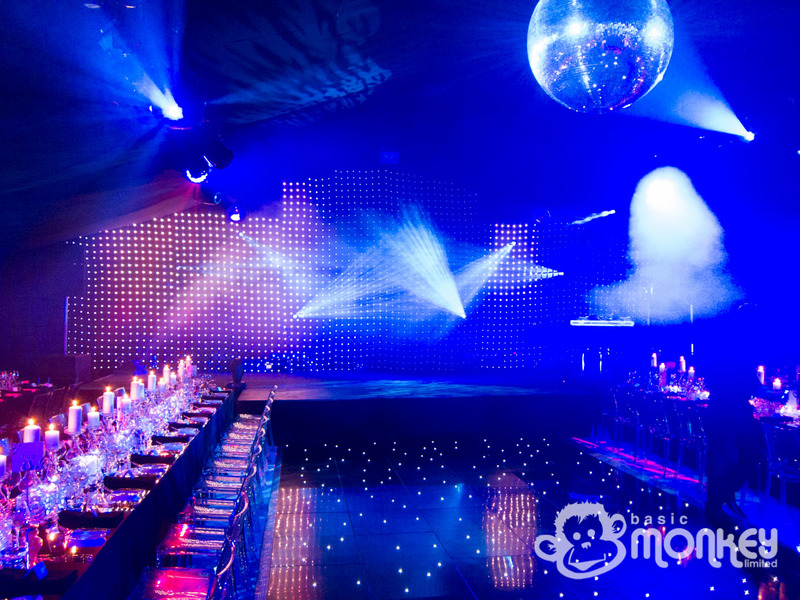 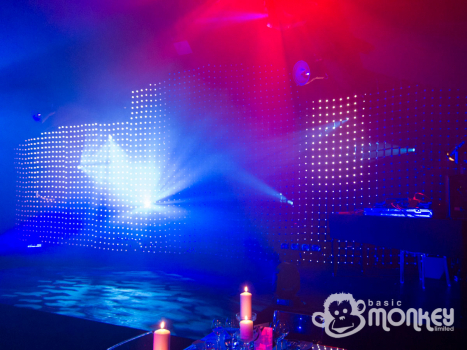 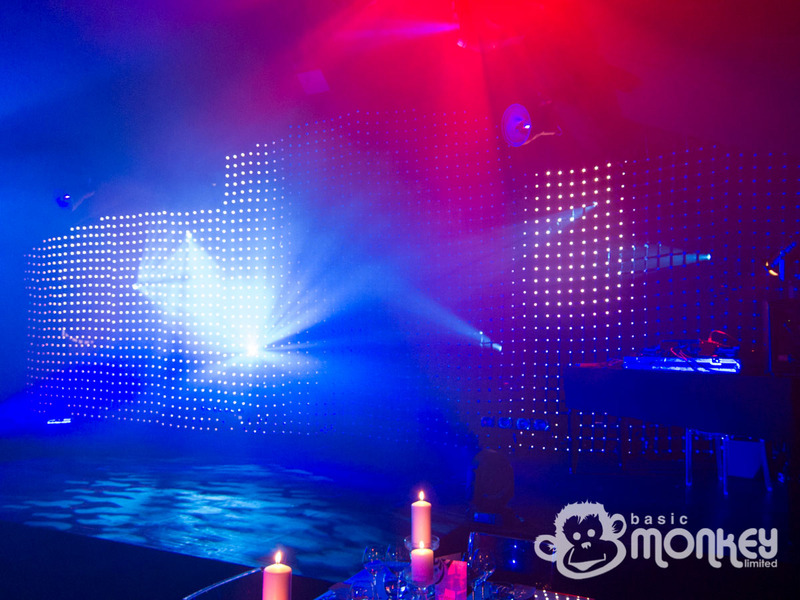 The event, organised by Tent & Garden, demanded the best in lighting creativity for a marquee and so Lightech specified a ColorWeb HiRes backdrop. 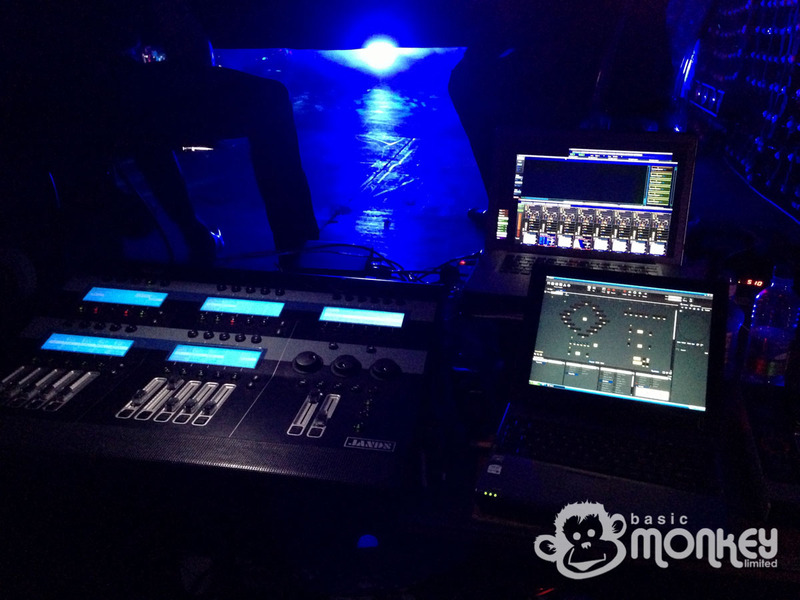 Behind this were Mac550 moving lights, LED fixtures and strobes. 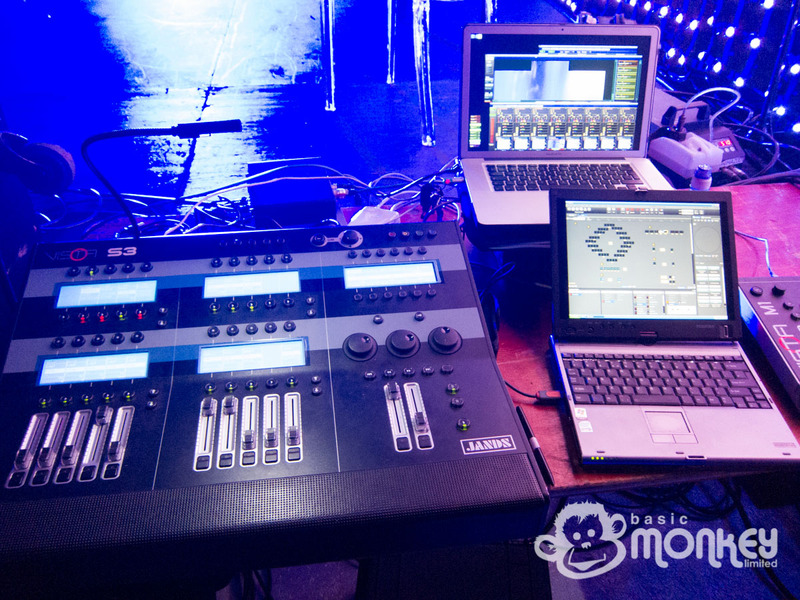 James was on site to operate the show, using our vast library of stock content. 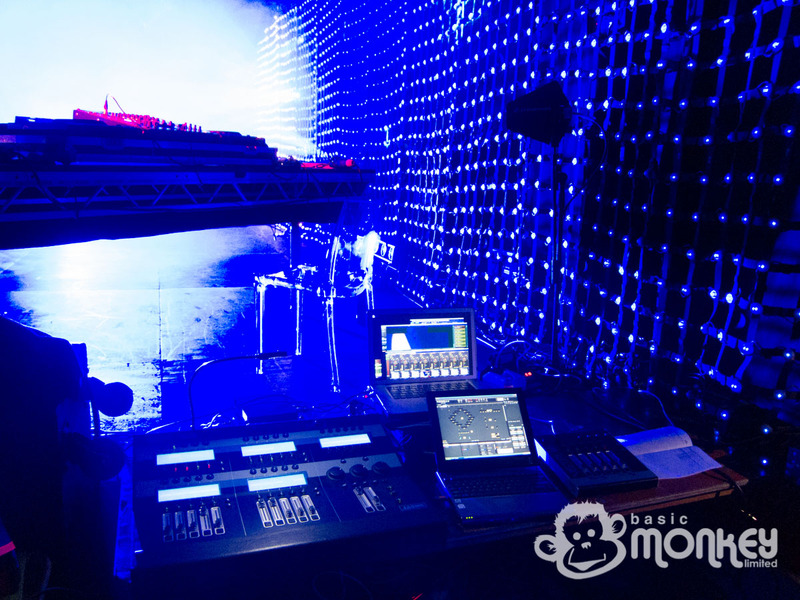 James also took control of the stage lighting to allow synchronised colours and effects between the colorweb and the lighting behind.